Request Maintenance Indoor and outdoor maintenance. To report a maintenance issue affecting safety, security, or research, please call 255-5322. Design and Construction Standards View and download Cornell Design Standards documents. Start a Project Initiate non-maintenance work such as new construction, design, remodeling, and engineering support. Event Support Get help in coordinating and obtaining facilities support for events on the Ithaca campus. Transportation Getting around campus, parking, as well as public and sustainable transportation options. For transportation needs please call 255-4600. This website provides 'one-stop shopping' for our customers to initiate a service, get current information about a project or building, or retrieve reference information. It is also designed to introduce you to the departments within Facilities and Campus Services. FCS is an administrative support division that includes the the Office of the University Architect, Contract Colleges Facilities, Energy and Sustainability, Facilities Management, Transportation and Delivery Services, Engineering and Project Management, Finance and Administration, and Cornell Real Estate. 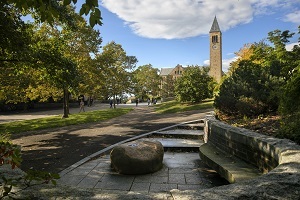 The Cornell University campus is widely admired as one of the world’s most beautiful academic settings. We serve Cornell through the planning, design, construction, operation and ongoing maintenance of University facilities. Additionally, we are proud to acknowledge the numerous accomplishments and successes of our staff as we partner with the broader university community in carrying out our mission. Accelerate the transformation of Cornell University into a world recognized model of excellence, innovation, and sustainability. The FCS Diversity Committee (FCSDC) works to develop strategies to raise diversity awareness and support a culture of acceptance and inclusiveness within FCS. Our Direction - Our diversity committee is directed by the guidelines laid out in the campus document Toward New Destinations (TND) – Institutional Diversity Planning created by the University Diversity Council. Under this charter, Colleges and units have been challenged to promote a working culture of inclusion and embrace the elements of diversity within the workplace. 1. Identify specific underrepresented job titles to develop and implement outreach plans with the intent to increase diversity of applicant pools. 2. Develop a diversity and inclusiveness training program that covers topics that are both relevant to our current culture, and are based on direct feedback from FCS staff. 3. 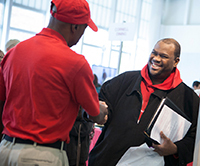 Explore opportunities within the surrounding counties and communities to promote Cornell careers within FCS and solicit Cornell FCS Staff volunteers who can engage with potential diverse candidates. The FCSDC is excited to hear your ideas! If you would like to learn more about each of these initiatives, or be involved as they are implemented, please reach out to one of our committee members. 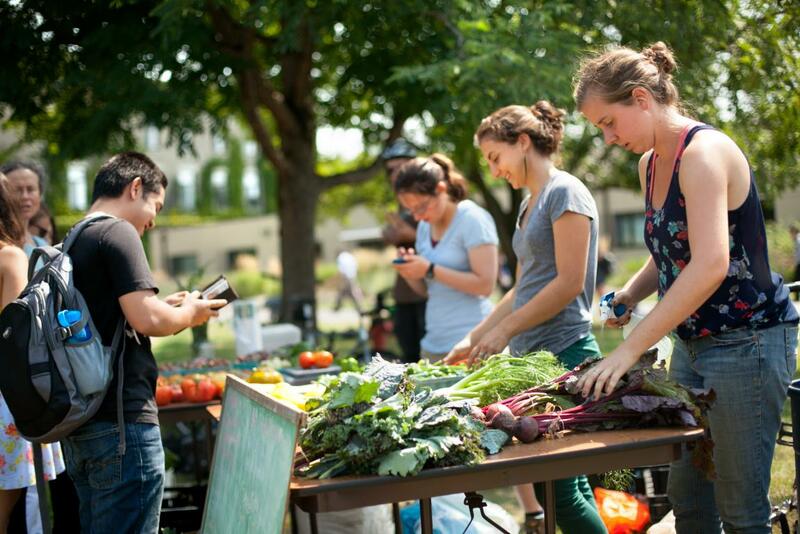 Cornell University is a living laboratory for sustainability -a place where sustainability solutions are developed, studied, implemented, and evaluated. By blurring the boundaries among classroom, lab, and campus, we are accelerating progress on exciting opportunities in the pursuit of a sustainable future in our buildings, food, energy, transportation, and more. We are committed to reaching Carbon Neutrality by 2035 and creating an innovative, world-class campus that demonstrates and advances sustainability solutions. Facilities and Campus Services career possibilities include: project managers, carpenters, sheet metal workers, laborers, custodians, grounds workers, electricians, plumbers, utility workers, construction managers, maintenance planners, real estate professionals, transportation representatives, motor coach operators, painters to name just a few! Cornell offers generous benefits from health insurance, flexible spending accounts (select benefits) and retirement plans to medical leaves and educational benefits to eligible faculty and staff. For other job openings within FCS and Cornell , click here. For information about the types of jobs available within FCS, click here. Rick Burgess, Vice President for Facilities and Campus Services, recently announced that Keith Barton will serve as the Associate Vice President for Facilities Management and Contract College Facilities. A Cornell alumnus, Keith returned to Cornell last summer as the Senior Director for Contract College Facilities after completing a 24 year career in the Navy. Since his arrival, he rapidly established himself as a talented leader who works with campus partners to find creative solutions. In conjunction with this leadership transition, Paul Heliseva has been appointed as Operations Director, and Jessie Wells as Zone Facilities Director for the Contract College Zone. Congratulations, Jessie, Paul and Keith!